Detectives are appealing for information following an arson attack on a flat in the Glassillan Grove area of Greenisland on Saturday, October 6. 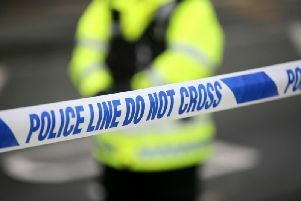 Detective Sergeant Martin Coulter said: “Shortly after 4pm it was reported that a ground floor flat had been set on fire. No one was inside the property at the time, but there was considerable damage caused to the property as a result of the incident. Northern Ireland Fire & Rescue Service attended the scene and extinguished the fire. “Enquiries are continuing and we would appeal to anyone with any information to contact police to help bring those responsible to justice. “We are appealing to anyone who saw anything suspicious in the area to contact detectives on 101 quoting reference number 890 6/10/18.